an affirmation of the primal divine intentions for humanity. The Theme of the Pentateuch, 30. The promises are for what was lost at the Fall. And these promises are, as Paul writes, made certain in Jesus the Messiah (Rom 15:8; 2 Cor 1:20). The promise of land as a home is fulfilled in Jesus, because through the rule of the Messiah, the earth is ultimately renewed as the home for God’s people (Rom 8:21; Col 1:20; Rev 21:1). That’s a theme of much biblical theology on covenants and creation. In the New Testament the place where this idea is perhaps most clearly expressed is in Romans chapter 4. Paul intentionally broadens to the whole earth the scope of the promise to Abraham concerning inheriting the land. Paul compresses this into one simple statement in what seems a quite breath-taking theological move: the promise to Abraham was that he would inherit the world. That really is an important move when we come to understanding how Jesus the Messiah brings the fulfilment of the covenant promises to Abraham. God’s people inherit, as part of redemption, not heaven, or an earth, but the earth. 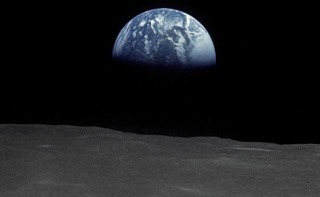 This earth. How do we judge the effectiveness of preaching? It’s a question that’s of obvious interest to preachers. And it’s also a question that’s at the heart of the ubiquitous discussions amongst the laity about who is, or isn’t, a good preacher. Some time ago I read through Bruce Winter’s Philo and Paul Amongst the Sophists. It’s a very persuasive argument for a background to the problems in the Corinthian church in the sophistic movement of the first century. 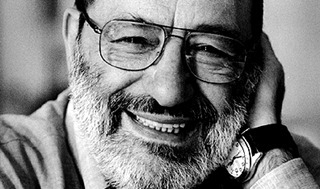 The Sophists valued rhetoric and presentation above all else in their speaking, and the hearers too would judge the relative merits of the Sophists by this same criterion. So, when Paul is at pains to point out that he didn’t arrive in Corinth with a message delivered by ‘cleverness of speech’, he’s distancing himself from a sophistic culture which was represented amongst the Corinthian Christians. Similarly, the parties at Corinth (‘I am of Paul, I am of Apollos…’) was a reflection of the tendency to follow and identify with a particular sophist, not necessarily because of the content of their declamations, but simply based upon their style. 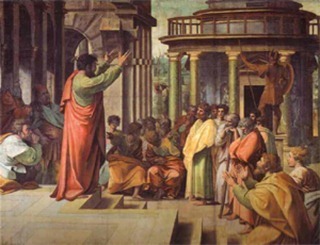 The sophists were not merely concerned with the style of their speech, but also with their appearance (which might connect with 2 Cor 10:10). Sophists were keen to present themselves outwardly as exemplars of style to the masses. In one case cited by Winter, Epictetus, who is unimpressed by this superficiality, berates a young student of the Sophists for plucking the hair from his body and being concerned about the way in which the hair on his head is set. How do modern attitudes in the church compare with the attitudes of the Corinthian Christians? To start with, it’s definitely a familiar phenomenon to find preachers judged on their rhetorical power. But, as Paul is at pains to point out, that is a very poor way to judge the effectiveness of a ministry (1 Cor 2:4,5; 4:20). The measure of effective preaching is not how elated we feel when we sing the final hymn or when we are leaving the church. It is how we feel six months or six years later, when we are able to judge the cumulative effect of a ministry in our lives. And there are implications for us as hearers. If we approach sermons looking for a ‘hit’, a ‘rush’, a ‘high’, looking to be thrilled, our listening might not be conducive to understanding and learning. And there are implications for preachers. If we are looking primarily to thrill the congregation, then that might not be an approach geared to effective teaching and learning. Are we, as hearers, listening in order to grow towards maturity? Are we, as preachers, teaching in such a way as to produce these outcomes amongst our hearers? And as for the outward appearance… Some preachers have to run just to stand still with some congregations because they’re not wearing a collar (or because they are); because they’re not wearing (or are) a tie, or a suit, or jeans! In the contemporary church there is a tendency to judge a ministry, especially a preacher’s ministry, in terms of oratory, or personality, or even appearance, or perhaps in terms of new people coming into church drawn by that oratory or some other aspect. However, the true test is one of results, not of the instant gratification of an adrenalin hit or a spiritual high, or of the fickle measure of bums on seats, but by the solid, nitty-gritty of effective teaching leading to spiritual growth across the board: new Christians and more established Christians both growing to be mature, effective Christians. In decisive passages of Ephesians…the change between “we” and “you,” “our” and “your,” indicates something other than…an appeal to a common Christian creed, or a cavalier, unnecessary, and meaningless change of diction: as observed earlier, those addressed in Ephesians are all of Gentile origin. They have been “apart from the Messiah, excluded from the citizenship of Israel, strangers to the covenants . . . bare of hope and without God” (2:12). These formerly hopeless people are distinct from other men who have equally been “under the wrath [of God]” (2:3), but were privileged to be the “first to set” their “hope upon the Messiah” (1:12). While the latter call themselves “The Circumcision” because of a “handmade operation,” the former are called “The Uncircumcision” (2:11). In 2:17 (cf. 13), one of these two groups is called “those who are far,” the other, “those near.” 2:19 speaks of recently naturalized citizens, or newly adopted children who are now among the saints as members of God’s household. Five times the first group is called “the nations” or I “the Gentiles”; in 2:12 the second group is explicitly identified as “Israel.” It is emphatically asserted that Gentiles have now been made fellow heirs, fellow members, fellow beneficiaries in an heirdom, a body, and a promise that were established already before any Gentiles were given access to it (l:18c; 2:19; 3:6). Gentiles now partake of Israel’s privileges and possess the same rights and titles as were formerly reserved for the Jews only…. 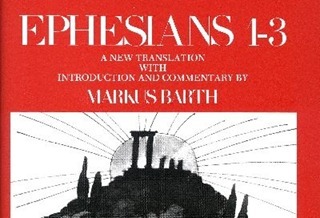 Markus Barth, Ephesians: Introduction, Translation, and Commentary on Chapters 1-3 (Anchor Bible, Vol. 34), 130-1, emphasis added. I think of the postmodern attitude as that of a man who loves a very cultivated woman and knows he cannot say to her, ‘I love you madly’, because he knows that she knows (and that she knows that he knows) that these words have already been written by Barbara Cartland. Still, there is a solution. He can say, ‘As Barbara Cartland would put it, I love you madly’. At this point, having avoided false innocence, having said clearly that it is no longer possible to speak innocently, he will nevertheless have said what he wanted to say to the woman: that he loves her, but he loves her in an age of lost innocence. If the woman goes along with this, she will have received a declaration of love all the same. Neither of the two speakers will feel innocent, both will have accepted the challenge of the past, of the already said, which cannot be eliminated; both will consciously and with pleasure play the game of irony … But both will have succeeded, once again, in speaking of love.